El grupo Sojo conquista el corazón de Córdoba con una propuesta que va más allá de lo gastronómico y que habla de los placeres de la vida y de disfrutar de cada momento que pasa. Se trata del restaurante Horno San Luis, ubicado cerca de la Mezquita cordobesa, todo un buen lugar para degustar comida casera y de mercado. La variedad del restaurante Horno San Luis es virtud. Frescas ensaladas, Humus y Guacamole aligeran el comienzo. Luego, el deleite se trenza a través de excelsos Huevos rotos, Salpicón de pulpo, y principales como Solomillo de buey con duxel de champiñón y el pescado fresco del día. Para concluir en dulce, el restaurante Horno San Luis te conquista con elaboraciones como Bizcocho de remolacha, crema de queso y culis de frutos rojos. La multitud de eventos que la casa organiza no puede pasar desapercibida: vermuts, música en directo y fantásticos cócteles aguardan tu presencia. ¿Necesitas más motivos? Buen lugar, novedoso. Ambiente agradable. Tanto para comer como para copas. Having seen the recommendation on TripAdvisor we booked and went to this restaurant. The food was good and the service helpful but I have to say the table we were seated at was uncomfortable and I’ll proportioned. Many of the tables in the space were high with stools dedicated to the height of the table. However we were against a a wall with a fan right behind my head which meant I could not lean back. My boyfriend had to sit next to me on the same side as the stool dedicated to this table was too high which meant he was almost doubled over to reach the table. Get some lower stools for these tables to make it more comfortable for diners. Espectacular ambiente, servicio y comida exquisita. 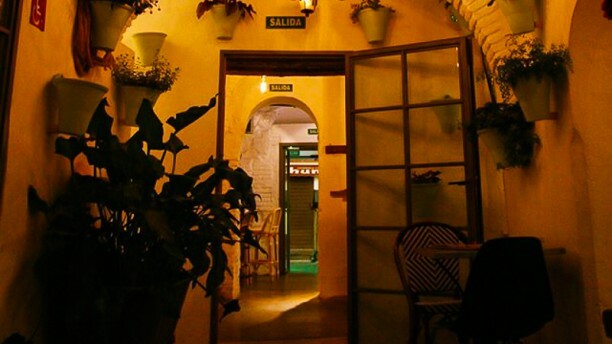 Mi sitio favorito para comer y cenar en Córdoba. Totalmente recomendable! This restaurant was recommended to us as we were not disappointed. Just along from our Hotel the Conquistador and just at the end of the road from the Mesquita. Perfect. Nice discover in the center of Cordoba old city. Slightly pricy. the location and local is wonderful !!!! wait so much time for dishes and one of these was not arrive ...but it's very very nice !! all will be emprove ! Lovely place next to the Mezquita, the top destination of Córdoba. The quality of the food is excellent and the restaurant is very special (all small different rooms with their own character). Perfectly air conditioned as well. We were so pleased with what we discovered, that we went there 3 times in only two days. Do not hesistate to find out yourselves and you will definitely not regret it. Also the tapas (served only until 8 PM) are great.